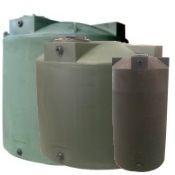 N-40089 | These horizontal storage tanks can be used for bulk storage purposes and non-DOT regulated transport applications. 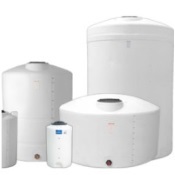 Contents people can store in these tanks include potable drinking water, chemicals and liquid fertilizers. 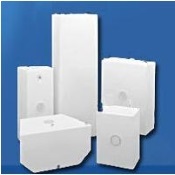 The polyethylene resin is FDA approved for worry-free storage. 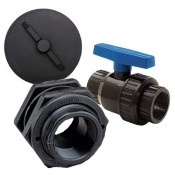 These tanks feature excellent impact and chemical resistance and are very durable. 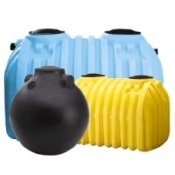 To provide years of outdoor storage and transport use, these horizontal bulk storage tanks are made of UV stabilized resin. 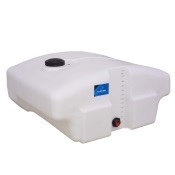 These tanks are equipped with molded-in legs that reduce sloshing and support the tank for added stability. 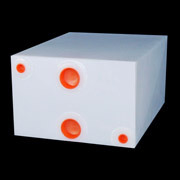 The natural white color of these tanks is translucent for easy viewing of content levels. 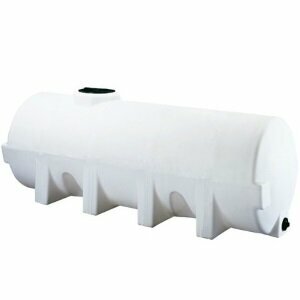 Because these tanks are larger than 525 gallons, they require support bands (sold separately). This is a 1.5 specific gravity tank.